The metallic, high-gloss surface on this 10-mil, 255g photo paper results in prints that are sharp, vibrant, and exceptionally rich-looking. This paper provides the perfect way to make portraits, commercial display prints, and competition prints that stand out from the others. 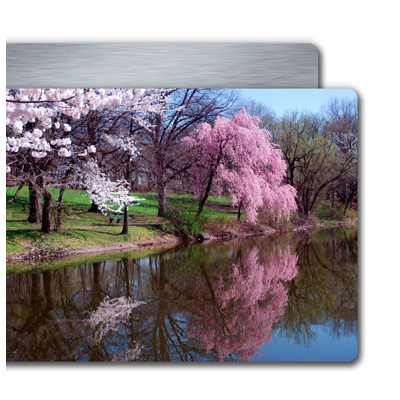 Metal Prints use a dye-sublimation image transfer process. Which infuses your image into the metal surface. Colors are vibrant and your image takes on a luminescence that is amazing. Prints are very durable and archival for long lasting prints. The metal is coated and with a special surface to accept the dye transfer. This coating has at time certain imperfections that we can not control. Refunds/Remakes will not be given due to the imperfections produced in manufacturing this product. Direct E-panel printing utilizes the latest in UVprint technology for flatbed printing. Using UV curable inks and lightweight E-panel aluminium. You will receive an image that is artistic. The print surface has a semi-matte appearance. Custom printing services to provide better color matching to your originals and expectations are available. This process requires a series of guide prints to be produced before the final print is made. This process can take several passes to complete. Charges are per proof plus shipping. 8×12 proof prints are 45.00+shipping. Please contact us for guidance and further information and or assistance with custom printing services.